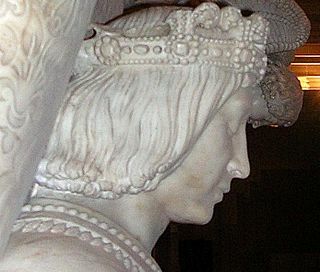 William VII of Chalon was a prince of Orange and lord of Arlay. He was the son of Louis II lord of Arlay and his wife Johanna of Montfaucon. 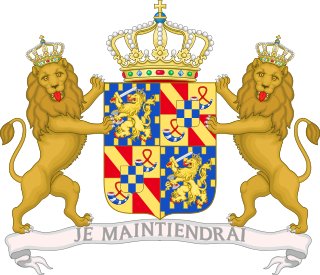 Philibert de Chalon was the last Prince of Orange from the House of Chalon. 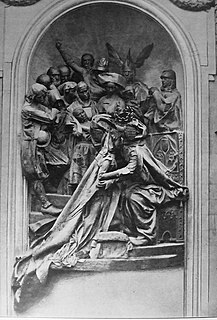 Hugh IV of Burgundy was Duke of Burgundy between 1218 and 1272. Hugh was the son of Odo III, Duke of Burgundy and Alice de Vergy. The Anscarids or the House of Ivrea were a medieval Frankish dynasty of Burgundian origin which rose to prominence in Italy in the tenth century, even briefly holding the Italian throne. The main branch ruled the County of Burgundy from the eleventh to fourteenth centuries and it was one of their members who first declared himself a count palatine. The cadet Castilian branch of Ivrea ruled the Kingdom of Galicia from 1111 and the Kingdoms of Castile and León from 1126 until 1369. The House of Trastamara, which ruled in Castile, Aragon, Naples, and Navarre at various points between the late 14th and early 16th centuries, was an illegitimate cadet branch of that family.